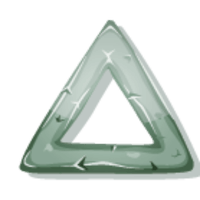 You are given a Triangle Stone. Your task is to find the area of the stone. The input file contains several lines. Each line contains three integers the length of the sides of the stone. All are ranged to 0 to 1000. The input file is terminated by EOF.